• You, the maker of the will (called the testator), must be at least 18 years old. • You must be of sound mind at the time you sign your will. • Your will must be written. • Your will must be witnessed and notarized in the special manner provided by law for wills. • It is necessary to follow exactly the formalities required by Florida law for the execution of a will. 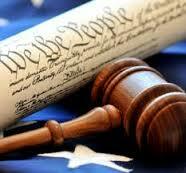 • To be effective, your will must be proved valid in and allowed by the probate court. No will becomes final until the death of the testator, and it may be changed or added to by the testator by drawing a new will or by a "codicil," which is simply a separately written addition or amendment executed with the same formalities as a will. A will's terms cannot be changed by writing something in or crossing something out after the will is executed. In fact, writing on the will after its execution may invalidate part of the will or all of it. WHAT CAN BE ACCOMPLISHED BY A WILL? • You decide who gets your property instead of the law making the choice for you. • You may name the personal representative (executor) of your will as you choose, provided the one named can qualify under Florida law. A personal representative is one who manages an estate, and it may be either an individual or a bank or trust company, subject to certain limitations. • A trust may be created in your will whereby the estate or a portion of the estate will be kept intact with income distributed to or accumulated for the benefit of members of the family or others. Minors can be cared for without the expense of proceedings for guardianship of property. • Real estate and other assets may be sold without court proceedings, if your will adequately authorizes it. • You may make gifts, effective at or after your death, to charity. • You decide who bears any tax burden, rather than the law making that decision. • A guardian may be named for minor children. WHAT HAPPENS WHEN THERE IS NO WILL? If you die without a will (this is called dying "intestate"), your property will be distributed to your heirs according to a formula fixed by law. Your property does not go to the state of Florida unless there are absolutely no heirs at law, which is very unlikely. In other words, if you fail to make a will, the inheritance statute determines who gets your property. The inheritance statute contains a rigid formula and makes no exception for those in unusual need. When there is no will, the court appoints a personal representative, known or unknown to you, to manage your estate. The cost of probating may be greater than if you had planned your estate with a will, and the administration of your estate may be subject to greater court supervision. MAY YOU DISPOSE OF YOUR PROPERTY IN ANY WAY YOU WISH BY A WILL? • Except in certain very specific circumstances, a homestead (that is, the residence and adjoining lands owned by a person who is survived by a spouse or minor child up to one-half acre within limits of an incorporated city or town or up to 160 acres outside those limits). • A life estate: property owned only for the life of the owner. • Any property owned jointly with another person or persons with the right of survivorship (for example, a tenancy by the entireties, which is limited to joint ownership between a husband and wife, would be a property that automatically passes to the joint owner). You may not disinherit your spouse without a properly executed marital agreement. The law gives a surviving spouse a choice to take either his or her share under the will or a portion of your property determined under Florida's "elective share" statute. This statute uses a formula to calculate the size of the surviving spouse's elective share, which includes amounts stemming from your jointly held and trust property, life insurance, and other non-probate assets. Because this formula is very complicated, it is usually necessary to refer this matter to an attorney with extensive experience in this area of law. Also, if your will was made before the marriage and the will does not either provide for your spouse or show your intention not to provide for your spouse, then your spouse would receive the same share of your estate as if you had died without a will (at least one-half of your estate), unless provision for the spouse was made or waived in a marital agreement. MUST YOU LEAVE EACH CHILD AT LEAST ONE DOLLAR? No. This is not necessary and can actually cause considerable added expense to the estate. It is better simply to state in the will that no provision is being made for that child. HOW LONG IS A WILL GOOD? It is "good" until it is changed or revoked in the manner required by law. Your will may be changed as often as you desire while you are sane and not under undue influence, duress or fraud, provided it is changed in the required manner. Changes in circumstances after the execution of the will, such as tax law amendments, birth of children, deaths, marriage, divorce, or even a substantial change in the nature or amount of your assets, may raise questions as to the adequacy of your will. All changes require a careful analysis and reconsideration of all the provisions of your will and may make it advisable to change the will to conform to the new situation. DOES A WILL INCREASE PROBATE EXPENSES? No. If there is property to be administered or taxes to be paid or both, the existence of a will does not increase probate expenses. A will frequently reduces expenses and eliminates uncertainties. If there is real or personal property to be transferred at your death, the probate court will have jurisdiction to ensure that it is transferred properly, either according to your will or, if there is no will, in accordance with the inheritance ("intestacy") statute. Thus, even if you have no will, your heirs must go to court to administer your estate, obtain an order determining your legal heirs, or obtain a determination that administration is unnecessary. These procedures are often more expensive than administering your will, since a properly drawn will names the beneficiaries and delineates procedures to simplify the administration process. ARE ESTATES BY ENTIRETIES OR JOINT TENANCY WITH RIGHT OF SURVIVORSHIP SUBSTITUTES FOR A WILL? Joint tenancies with rights of survivorship can be established when you and one or more people title bank accounts and other assets in multiple names with the intent to have ownership pass directly to the surviving named owners when you die. A "tenancy by the entireties" is much the same but involves only married people. These forms of joint ownership can avoid probate of the account or other asset when you die. While this can be very efficient in some cases, use of joint ownership can be fraught with problems at death and cause more problems than it solves. Among other unforeseen problems, indiscriminate use of joint ownership can cause an increase in estate taxes over the joint lives of married people, force double probates in the event of simultaneous deaths, create unfairness as to who pays for funeral expenses and claims against you, raise undesired exposure during life to the debts of co-owners, and cause a shortage of funds for payment of estate taxes, which can cause litigation with the taxing authorities. IS A LIFE INSURANCE PROGRAM A SUBSTITUTE FOR A WILL? No. Life insurance is only one kind of property that you may own, and a will is necessary to dispose of other assets that you own at death. If a life insurance policy is payable to an individual, your will has no effect on the proceeds. If the policy is payable to your estate, the disposition of the proceeds may be directed by the will. Life insurance can be useful in providing cash at death for payment of taxes and expenses, but like most strategies for insurance, the careful person will consult a lawyer, a life insurance counselor, and a financial adviser. Mistakes in ownership and beneficiary designations in these policies can cause great increases in estate taxes owed. IS A TRUST A SUBSTITUTE FOR A WILL? No, in most situations. A trust may be used in addition to a will. This is because a trust can handle only the property that has been put into it. Any property of yours that is not placed in the trust either during life or at death in most instances escapes the control of the trust. It is the will that controls all property in your name at the time of death if the will is drafted properly. Trusts can be helpful to speed administration and save taxes if they are drafted properly and funded during life with the property intended to be transferred by the trust. Often, however, improperly drafted or incorrectly funded or administered trusts can add to the cost of settling estates, not lower it. Furthermore, it is the probate of the will that can clear creditors' claims, which is not possible with just a trust administration. DO YOU HAVE TO GO TO COURT TO PROBATE A WILL? No, personal court appearances are usually not needed to probate a will. However, documents must be filed with the court to procure a probate order and administer estates. In most counties, neither the estate attorney nor the interested persons ever appear in the courtroom. CAN A WILL REDUCE TAXES? A well-drawn will can reduce estate and income taxes that may arise when you die. Estate taxes are often by far the largest cash expense an estate faces. There is also the possibility that Congress may increase the impact of the estate tax in the future. In addition, proper planning must be made for income tax advantages. Proper planning with a will is indispensable in taking these benefits in the tax codes. WHO SHOULD PREPARE A WILL? You wouldn’t employ "just anyone" to fill teeth, take out an appendix or deliver a baby. Except in dire emergency, such important tasks should not be performed by anyone except the trained professional. The drafting of a will involves making decisions that require professional judgment that can be obtained only by years of training, experience and study. Only the practicing lawyer can avoid the innumerable pitfalls and advise the course best suited for your individual situation. In addition, an experienced attorney will be able to coordinate the use of other skilled professionals, such as an investment adviser, actuary, insurance specialist and tax accountant to complete a proper estate plan. Moreover, there is no such thing as a “simple will.” Even smaller estates can have complexities foreseeable only by the experienced attorney. • Marriage does not cancel a will in Florida, but a spouse acquired after the execution of your will may receive the same portion of your estate that he or she would have received had you died without a will (at least one-half). • If you have moved to Florida from another state, it is wise to have your will reviewed by a Florida lawyer in order to be sure that it is properly executed according to the laws of Florida, that the witnesses are readily available to prove your will in Florida, and that your personal representative is qualified to serve in Florida. • Before your will is effective to dispose of your property, it must be proved in the probate court. If the will is self-proving and otherwise valid, it may be admitted to probate without further proof. If the will is not self-proving, it generally must be proved by the oath of one of the witnesses. The oath must be given before a circuit judge, clerk of court, or a commissioner specially appointed by the court for that purpose. (Under certain circumstances, the court may permit the will to be proved by other means permitted by law.) A will can be made self-proving either at the time of its execution or later, which saves the time and expense of locating a witness and obtaining the witness’ oath after your death. For your will to be made self-proving, you must acknowledge the will before an officer authorized to administer oaths; the witnesses must make affidavits before the officer; and the officer must evidence the acknowledgment and affidavits by a certificate attached to or following the will. An appropriate form of certificate is prescribed by Florida law. The self-proving procedure is in addition to the normal execution and witnessing of the will, not in place of it. • No matter how perfect a will may be prepared for you, unless it is properly executed in strict compliance with the laws of Florida, the will may be entirely void. Be sure that you execute your will in the presence of your attorney, who knows exactly how and in what order the will should be signed. • Every person owning property who wishes to exercise control in the disposition of that property when he or she dies, should have a will regardless of the value of the property. Of course, the larger the estate the greater the tax consequences. · Living will: Florida Statutes now provide for a written declaration by an individual specifying directions as to use of life-prolonging procedures. · Power of attorney: This document can assist in handling your property if you become incapacitated, without having to open a guardianship proceeding in court. This is especially valuable for paying your bills and protecting your assets. A power of attorney is no longer valid or enforceable after your death. · Health care surrogate: Florida law now allows you to designate a person to make health care decisions for you when you may not be able to do so. Included in this important appointment is the power to decide when to withdraw medical procedures. · Pre-need guardian designation: Florida law allows you to designate a person who could be appointed guardian over you should you become incapacitated and/or over your children should you become incapacitated or upon your death. If you fail to designate a guardian, the Court will do so for you if it becomes necessary. The material in this pamphlet represents general legal advice. Since the law is continually changing, some provisions in this pamphlet may be out of date. 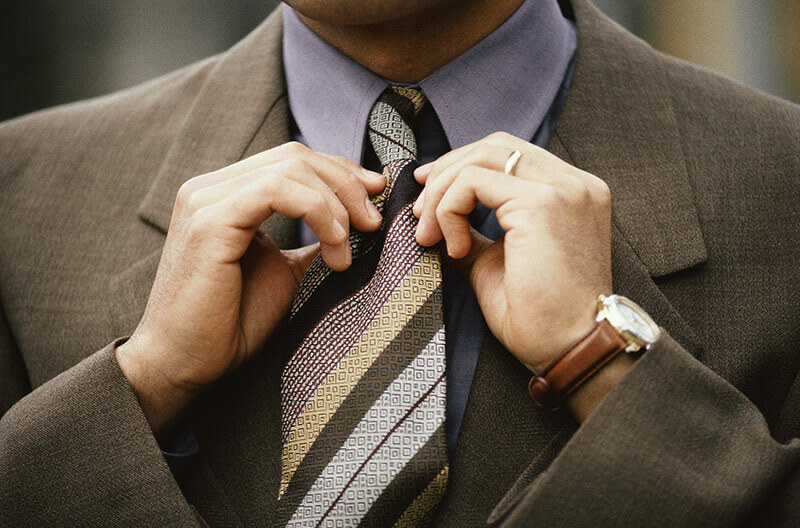 It is always best to consult an attorney about your legal rights and responsibilities regarding your particular case.